Great, V. Reflection, all the shades of black, no overexposure, great! Nice reflections indeed ! Love the composition and the sharpness of the bird ! Magnificent reflection, well done. Like the tones. 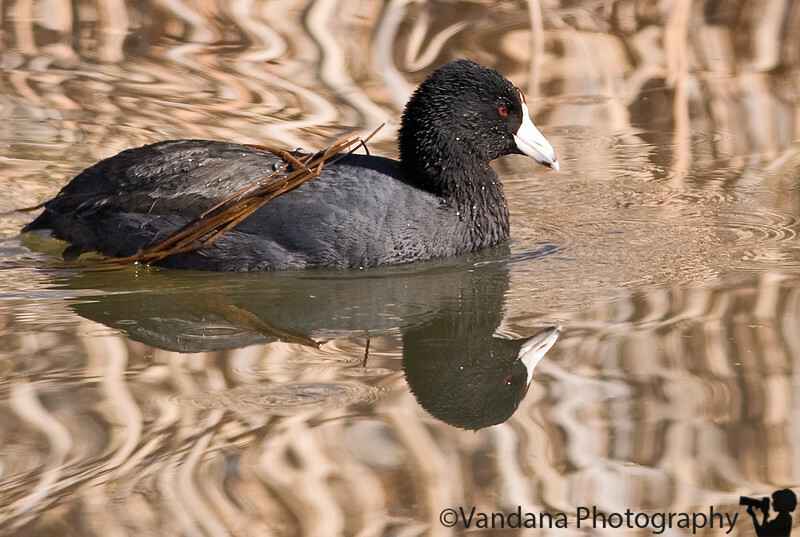 Oooh...I love the reflections around the bird, which are soft, and then the contrast with the very sharp coot. I sent you a couple emails hope you got them.